OTONEWS - One of the cars that used the main star Vin Diesel in Fast and Furious movie 4th soon enter the auction. Dominic Toretto car mounts are the 1970 Chevrolet Chevelle. For fans of Fast and Furious, 'Dom' is known as an admirer figure Dodge Charger. However, he also had to ride this car Chevrolet Chevelle. And this car will be auctioned in Dallas Leake Auction on 18 April. According Classic Cars, Monday, April 13, 2015, Chevrolet Chevelle is equipped with a roll cage, Hotchkis suspension, Wilwood brakes, and special cage brakeroll drift. This car was designed by Frank Collins of Cinema Vehicles and eventually turned into one of the flagship car in the movie Fast and Furious to-4. However, the car was eventually auctioned off by its current owner, Jeff Allen. 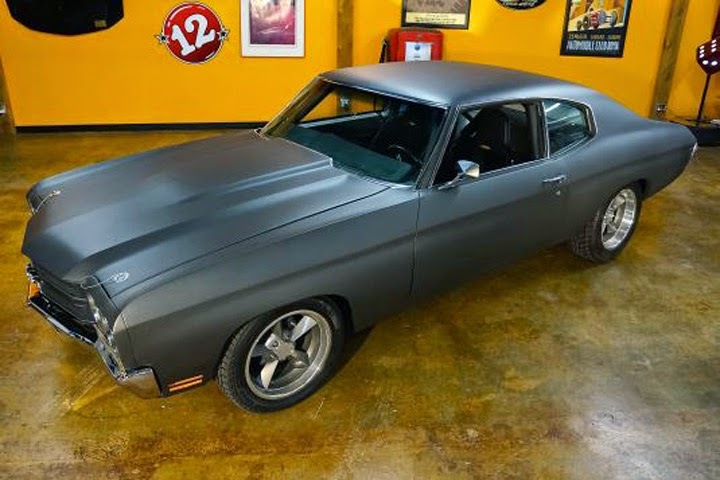 The Car Chasers CNBC star is claimed to want to sell this car because they want to add to his car collection car from the movie Fast and Furious 7. With the money from the sale of this car, Jeff wants to buy a few cars in the latest film Fast and Furious was. Previously, car mounts the late Paul Walker in Fast and Furious 2009 R34 Nissan GT-R, also has auctioned. 1 Tanggapan untuk "Dominic Toretto cars 'Fast & Furious' Will Go Auction"